History makes us who we are. What happened yesterday helps create how we think today. When the Seventh Day Adventist conference bought the 400+ acres from camp Mcquaide in 1949, they did not need all of the buildings on the grounds for school purposes. Many of the buildings were rented out to industries and others were used as ways to make the growing school money. 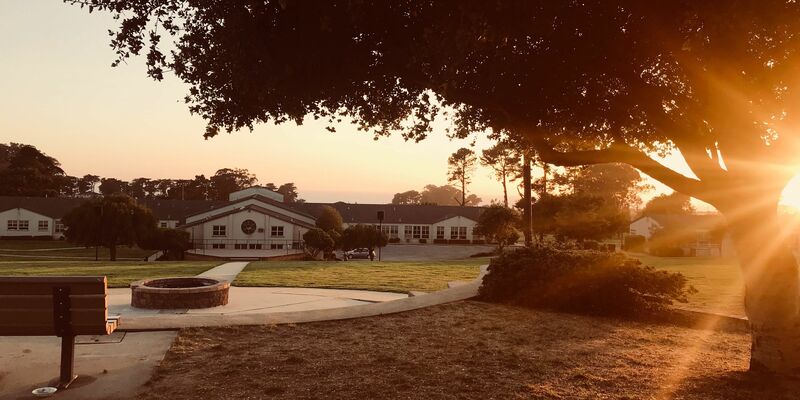 The school, Monterey Bay Academy, needed other sources of income besides the tuition provided by students, so they turned some of the buildings into places that brought income for the school and gave students jobs. There was a dairy farm, farmer fields, a laundry, and other assortments of businesses. The building that AirSpace Integration currently occupies, was first used as a chicken house. They raised hens on the outside of the building and used the inside for processing. The chickens provided eggs, which were sold to local farmers markets, and other chickens were sold to local slaughter houses for meat. This industry gave students the opportunity to get hands-on work in the real world and gave MBA a side income. But eventually other businesses in the Watsonville area forced the little chicken operation out of business and MBA leased the property to a much larger company. In 1960 this building became the 19th branch of the Harris Pine Mills Redwood Division, which was owned by the SDA General Conference. This section of Harris Pine Mills was one of the largest furniture manufacturers in the US. This company used these rooms in this building for textile manufacturing, sewing production, fabric cutting, and as a packaging warehouse. This furniture company occupied all of ASI and the surrounding buildings. Much of the furniture sold in the US was produced right here in our building. 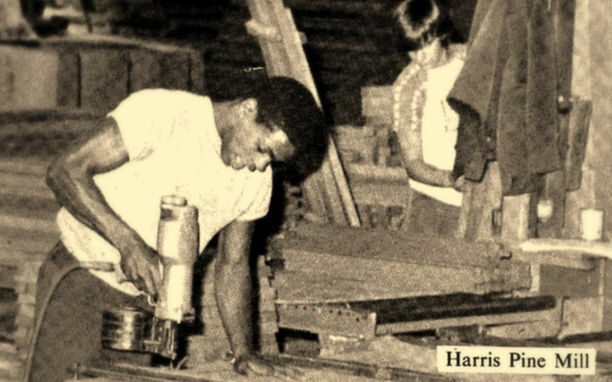 In 1987 Harris Pine Mills was purchased by Little Lake Industries. The new management produced almost identical sets of furniture and kept the manufacturing plant here until 1990. These first few companies started to give this building and the surrounding buildings a sense of purpose and gave an industrial life to this campus. After Little Lake Industries moved out in 1990, MBA leased the property to Dana H. Morgan of D.H. Morgan Manufacturing. This was a large change from the furniture design industry that had been running out of the building previously, but Morgan transformed the interior of the building to an engineer’s paradise. D.H. Morgan manufacturing was one of the first of a few engineering companies that occupied this building This roller coaster manufacturing company was founded in 1983 and moved to Monterey Bay Academy in 1990. When they first moved in, the building was 55,00 square-feet, but part way through their occupancy, they (with the help of MBA) renovated the entire building, modernizing it, and adding an extra 20,000 square feet onto the footprint. 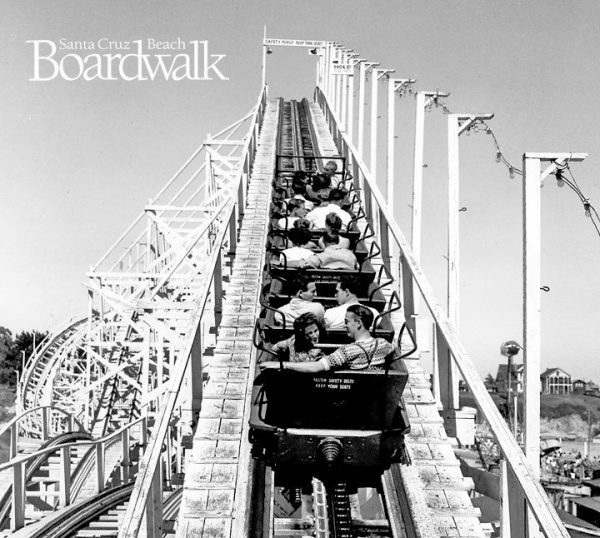 Morgan build rides for places like Disney, The Santa Cruz Beach Boardwalk, and Bonfante Gardens. Morgan was one of the original creators for the rides of Disney World in florida and many of his original rides are still in use today. Dana Morgan worked until 2001 when he retired and sold his company to Chance Coasters. Chance Coasters’ headquarters is located in Wichita Kansas, but they kept the engineering department at MBA until 2007. D.H. Morgan and Chance Coasters designed some of the world’s best roller coasters right here in La Selva Beach California. We are proud to have them as part of our history! This building has alot of history in it. We’ve had everything from chickens, to a furniture manufacturing plant, to roller coaster design in this building. After Chance Coasters moved out in 2007, the building was left vacant for a few months while MBA looked for someone to occupy the space. Eventually MBA opened the space up to Education Consortium International, or more commonly known as ECI. This group was one of the major players in getting foreign exchange students to MBA and getting them through their schooling. ECI used this building as their headquarters. They taught students, helped process and get them acquainted with the United States. ECI used the front parts of this building, but did not make use of the back storage rooms. So in 2010, MBA leased the back rooms and part of another building to Enchanted Sand castles. 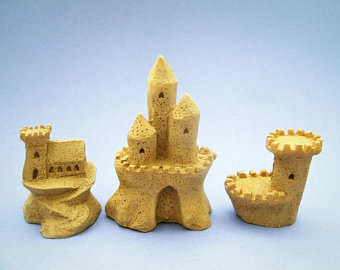 This very small company used sand from our beach and molded sand castles to be sold in a local store. The back room was where the sand was glued together using a special clear resin. You can still see bits of sand that are still stuck to one of the back walls. ECI downsized their headquarters in 2012 to a small office in the back of the MBA music department. This left the front part of our building open again, while Enchanted Sand Castles moved out in 2016. Both these companies left their mark on this building. ECI moved out of this building in 2012 and again the space was vacant for a few months. MBA was looking for a newer company that could bring life to the space and lead it into the future. There had been plenty of companies in the space, but MBA needed someone who could use the space to its full potential. While Enchanted Sand Castles was still in the back rooms, MBA leased the front part of the space to a company that, at the time, was called Global Gizmos. This company sold small toys that were startup ideas. None of the toys were very successful, but the company was trying to find its niche. Eventually, Richard Menefee, the CEO and owner of the company, switched gears, and moved his company from toys to knives. He had a manufacturer in Taiwan and did the packaging and management right here in this building. 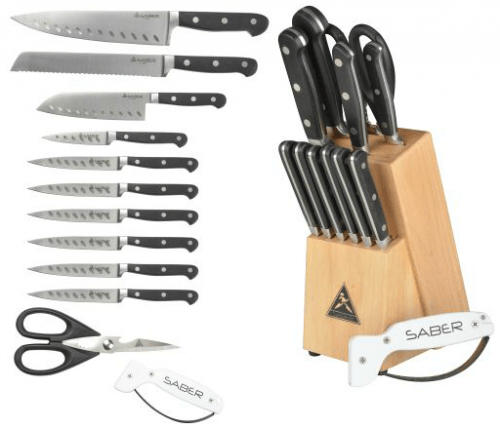 He changed the name of the company to Saber knives, and sold in stores line Amazon, Costco, Houzz, and Wayfair. Eventually the company became too much for him to run, and he sold the company partway through 2017 to one of his partners. The knives can still be found on Costco and Amazon to this day. When he sold the company, he moved out of the space, when it was consumed by a new company. So far there have been eight companies in this building. Each company has done something unique to the building and left its mark. The next company is no different. Enchanted Sand Castles moved out in 2016, leaving the back part of the space open. That is when Chris Bley of Insight Up Solutions moved in. Chris is a visionary entrepreneur who has started a few, successful companies. Chris took over the back part of the building, putting one of his companies, InspecTools, in and letting them do R&D work in the space. He then proceeded to lease the entire from MBA and sub-leased a room to Saber Knives. When Saber Knives was sold partway through 2017, he put his other startup company, AirSpace Integration, in the front section of the building. Currently InspecTools used the back areas of the building to do R&D work and testing. The front part of the building is used by AirSpace Integration as a coworking hub where members can work together to pursue innovation. 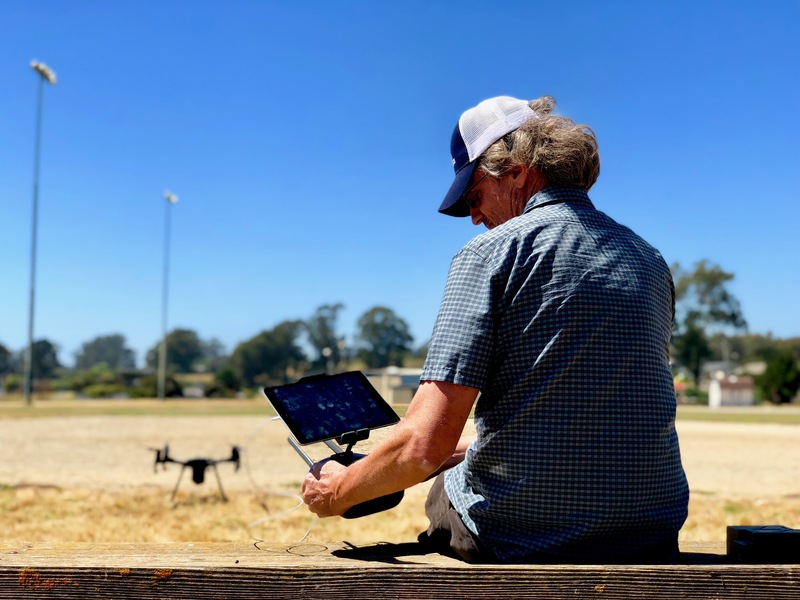 Some of ASI's members include DJI, Fruity Chutes, Camp Six Labs, and more. ASI now has outdoor testing areas for booking where people can come and bring their ideas to life. Chris has brought this building to life and has created an environment that is conducive to learning and innovation.